Decorative lighting at it’s very best, the Leaf Table Light Stand Lamp will add detail and art to your bedroom and side tables. 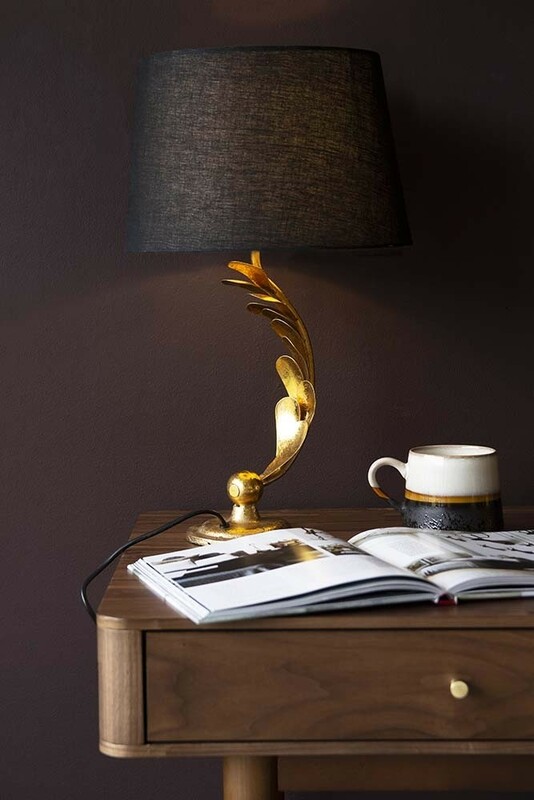 A handmade beautiful table lamp, the Gold Curved Table Lamp features an etched gold leaf detailing lamp stand with a contrasting black shade. The Distressed Golden Leaf Table Light measures 55cm in height x 7.5cm in width. The black Lamp shade has a width of 30cm and the table lamp is made from metal. It’s our philosophy at Rockett St George to only buy things for your home that you love. Rather than following trends, it’s worth taking the time to curate pieces that you love as these are the pieces that will last. With this in mind, co-founders, Jane Rockett and Lucy St George wanted to curate a range of lighting that is functional and beautiful. We think that Gold Leaf Stand Table Light fits this criteria! Stunning lighting at it’s very best, anyone who is looking for beautiful lighting will love this table lamp. 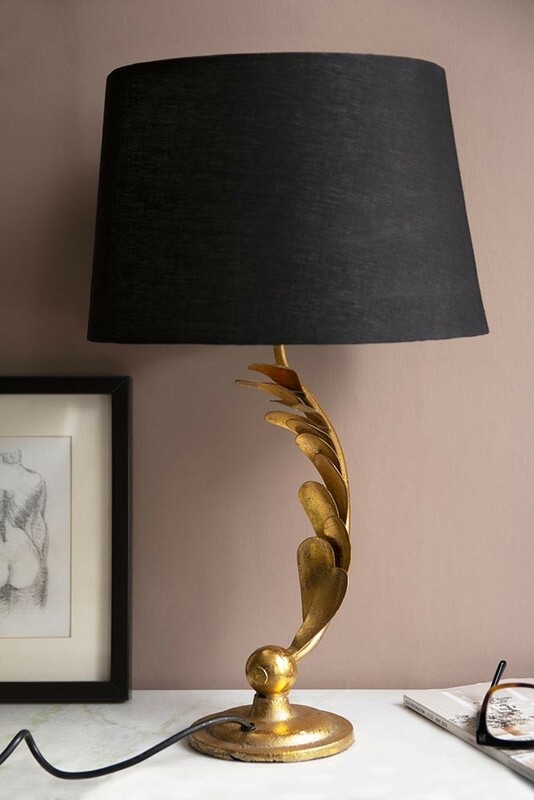 Exquisitely beautiful the Gold Curved Leafy Stem Table Lamp is statement lighting for your living rooms, bedrooms, guest rooms and hallways. Display this leaf stem light on your table lamp next to your sofas and armchairs or alternatively buy two and style the lights on your nightstands or bedside tables.